STAR Physical Therapy provides world-class clinical training for our clinicians. Each year, STAR clinicians access an educational calendar with 12 or more courses. The courses are either a single topic seminar or “tract” courses that are sequential and allow for exam certification upon completion. 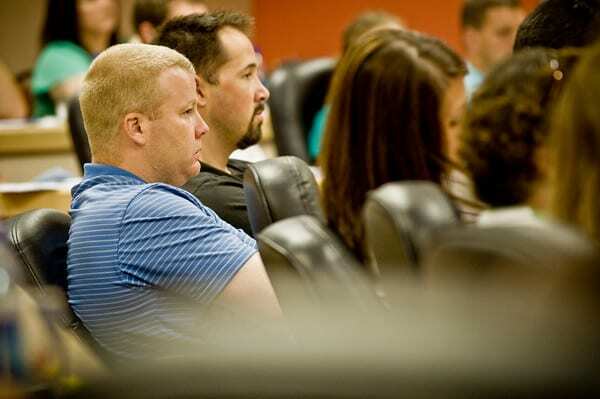 Single topic seminars vary based on content suggested by our clinicians – Vestibular Evaluation & Treatment, Headache Management, or Functional Knee Rehabilitation to name a few. STAR clinicians, depending on their interest and patient population, are able to attend as much education as they desire free of charge. STAR’s commitment includes bringing in renowned presenters from all over the country. Previous calendars have spotlighted courses presented by Gary Gray, Chris Powell, George Davies, and Terry Malone. Additionally, STAR hosts the “SOS” course, an annual seminar featuring middle Tennessee orthopedic and neurological surgeons. This allows us to connect with and learn from our physician colleagues that we are so blessed to have right here in our local communities. STAR’s featured tract curricula have resulted in more than 30 of our clinicians achieving independent national and international certifications from Maitland and McKenzie and over 30 more eligible for certification in 2015. Both tracts require five to six courses including didactic coursework as well as extensive hands-on training. STAR has committed, from inception, to be the “Clinician’s place to practice” – an employer that promotes and facilitates clinicians to become great mechanics of the human body. This commitment is a core value, yet our educational program continues to evolve to develop new and different pathways that encourage and enable clinicians to be hands-on, comprehensive and world-class in their patient care delivery.